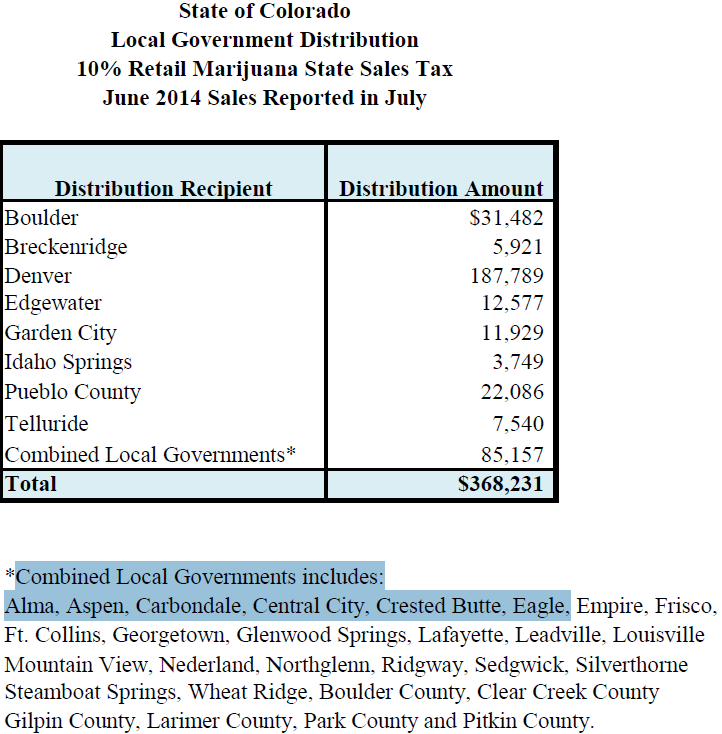 Colorado’s "Marijuana Sales Taxes" – the Big Lie! The fact is…the truth is… NOTHING like the magnitude Pot proponents were alleging about Sales Taxes collected – has come to pass in Colorado, nor Eagle County in particular…now (2) years later. Keep in mind these Eagle County “Pot Shops” run as a “Cash Business” because (under current Federal Law) a FDIC insured Bank – cannot legally give/issue these Pot businesses neither a Credit Card machine nor a legitimate Bank Account – for fear of loosing their banks FDIC Insurance – under current Federal Law. Think things can’t get any worse about “Marijuana Taxes” in Colorado? Wrong. “Pro-Pot” Attorney Rob Corry has filed his Lawsuit in Denver District Court to “block Marijuana Taxes in Colorado” – claiming collection of those taxes on the sale of Marijuana in Colorado – violates the U.S. Constitution. (Click Here) for the 9News story on that Lawsuit – (Click Here) to read a copy of that 37 page Lawsuit that was filed recently in Denver District Court. 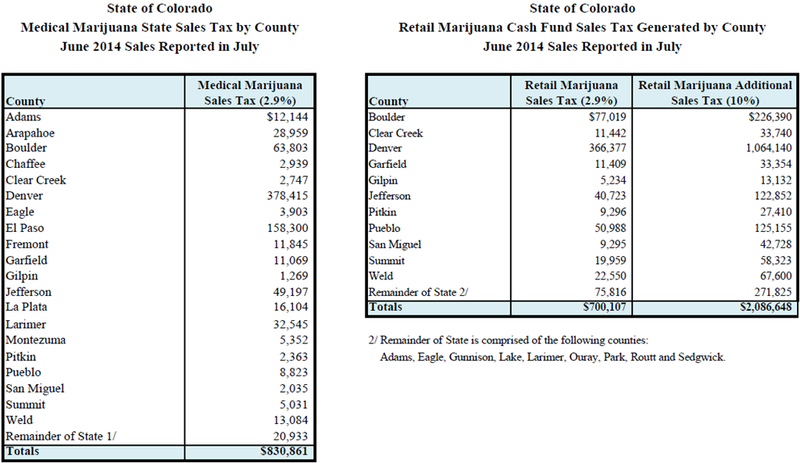 Your last graphic shows that retail marijuana generated nearly $3 million dollars in combined sales tax in June alone. This seems to contradict the entire contents of what you wrote. How is $2.78 million in a single month a failure? The predictions for Annual Sales Tax Revenue – in no way matches what was “promised”. The Colorado Center for Policy, in 2012, and law estimated first year savings and revenue at $60 million. Hickenlooper’s own office projected this year’s revenue at $70 million last year. So far, we are on track to make $100 million this year. Sounds like a runaway success to me. These taxes include limited Medical Marijuana sales for the last two years. Recreational sales have only started recently due to the hold up by different jurisdictions trying to iron out rules and regulations concerning pot shops. Let’s see what happens to the tax revenues over the next two years.